Using NOMAD redeployable cameras, Warwickshire Police have been able to reduce anti-social behaviour. Warwickshire Police is committed to delivering the maximum possible protection to local communities within the resources the force has available. To create a more visible and responsive Policing service, Safer Neighbourhood Teams are used to provide a dedicated support and resolution resource, working with partner agencies and individuals within the community, to investigate and tackle issues and concerns that affect local people such as anti-social behaviour. Warwickshire Police was already using redeployable CCTV cameras throughout Nuneaton and Bedworth Borough in a wide variety of applications to capture events as they happened. However, to combat the increasing incidence of anti-social Behaviour, the force wanted to improve the way that live and recorded images could be viewed and downloaded. In particular, it wanted to have real-time access to this information at local police stations enabling officers to make more effective decisions to deliver the most appropriate response and make the most efficient use of available resources. Rapid Vision Systems Ltd, a leading manufacturer and supplier of redeployable CCTV solutions to Police Forces throughout the UK, won the Tender to provide a solution that would meet Warwickshire Police’s specific requirements. The NOMAD camera was selected as it can be deployed in less than five minutes to provide an immediate and cost effective deterrent in a wide range of applications. 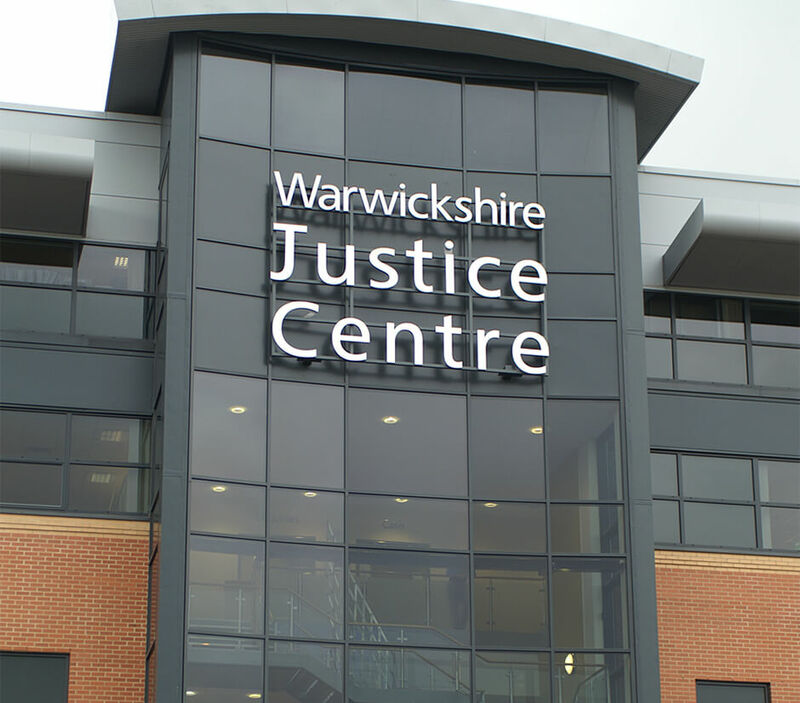 NOMAD uses a 3G video link enabling live or recorded images to be viewed in real-time by officers operating at the Justice Centre in Nuneaton, Bedworth Police Station or whilst mobile. The 3G link also enables full pan, tilt and zoom control of the camera allowing officers to follow events as they unfold Images are viewed using a standard laptop computer which can also connect to NOMAD Cameras using a WiFi link. This facilitates the high speed download of video images from the built-in DVR which stores up to two months of unattended recordings on a 500GB SATA drive. "Rapid Vision Systems fully understood the challenges we face and provided us with a cost-effective solution..."
NOMAD uses the latest H.264 compression technologies, enabling Warwickshire Police to download one hour of video footage in just 10 minutes. This delivers significant time savings and allows the delivery of a faster response compared to the existing system, which required an extra 50 minutes to download the same amount of footage. Rapid Vision Systems supplied Warwickshire Police with seventeen NOMAD cameras and three Dell laptops with long-life batteries and matte screens for improved daylight viewing. In-car chargers were also supplied to allow officers to use the laptops for an extended period in a variety of operations. The company also provided full user training to officers that would be using the equipment at Bedworth and Nuneaton. This support package also included easy to use, ‘quick start’ guides and access to a telephone hotline for any follow-up questions. “As well as being easier to use than the previous system, the new NOMAD cameras enable us to view and download images from the Police Station instead of having to travel to where the cameras are deployed,” continued Warwickshire Police. Manufactured in the UK by Rapid Vision Systems to meet customer specifications, NOMAD can be used as a standalone system as well as integrating with existing IT infrastructures. It uses advanced noise reduction circuitry, which was designed and built ‘In-house’ to deliver high quality images in low light conditions. In addition, the NOMAD can be specified with a range of options including main cameras fitted with Infrared Illumination, which can view events in total darkness and additional downward facing Sentry cameras to detect attacks on the camera from below. Remote Sentry Cameras can also be used with the NOMAD. These small but powerful cameras are placed on nearby lamp columns and transmit video images back to the NOMAD camera. Full pan, tilt and zoom control is available through the NOMAD which also records both cameras to its internal hard drive. Rapid Vision Systems also provides high levels of ongoing support with a rapid onsite service to maintain the operational effectiveness of the systems. “The NOMAD cameras enable us to provide a faster response that is tailored to the offence being committed, make more efficient use of resources and deliver a more effective service to the community. They provide the public with high levels of reassurance and PCSO’s have seen a significant drop in anti-social behaviour whenever they have been deployed. In fact, the majority of complaints we have received is when the cameras are moved to a new location and residents fear that the level of anti-social behaviour will rise,” Warwickshire Police concluded.